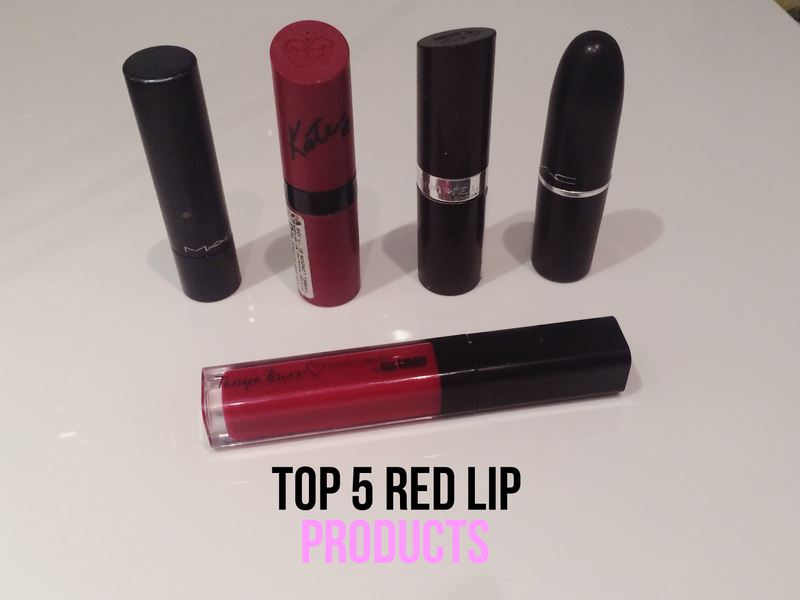 I thought I would share with you my top 5 favourite red lipsticks/products as I seem to have an ever growing collection and tried a bunch as red is my go to lip to do, especially in the evening. As I seem to dress mostly in monochrome, It's nice to add a little element of colour. I love this, firstly it smells so good that I actually want to eat it. I think its perfect for this time of year and is definitely going to be back in use, even though its running out and I'm not sure if its been discontinued or I'm just blind every time I go into Mac. This one is good if you're not so keen on dark reds, it's a lot more 'berrier' again with this one I find myself wanting to eat it. Why?! Anyway, I love this and the finish of it. I always fear mattes will be over drying and make my lips look rubbish however this has never done that for me. Alarm is one of the brightest reds I have and have been using it for YEARS. I think for me, its the perfect lipstick. I think this alongside Alarm are my most used out of the five. However I do find this a little drying so that's something to consider. However the colour pay off is incredible and I don't find myself constantly needing to re-apply throughout the day. Finally, Vampire Kiss by Miss Tanya Burr. I LOVE this. I don't always take a liking to glosses. I hate the texture of most of them and of course, the dreaded hair stuck to your lips situation which happens without fail. I recently tried out wearing Russian Red with Vampire Kiss over the top and I found the perfect combination, a lot glossier from what I normally choose but I think it just looks beautiful. So there you go! Any others I should give a try?